Bike Paradise was started by Scott Givens, an avid mountain biker with over 25 years of riding and competing under his pedals. As his riding career matured, he soon discovered a passion for introducing friends and family to the sport that he loved so much. He knew his years of experience helped make him a great rider, but that didn't automatically qualify him as a great instructor. In 2013, he sought out and passed the stringent requirements for the BICP (Bike Instructor Certification Program) Level 2 Ride Guide and Intermediate Mountain Bike Skills Instructor certification. The BICP program is a globally recognized certification program with a curriculum developed from nearly 20 years combined experience of professional coaches. 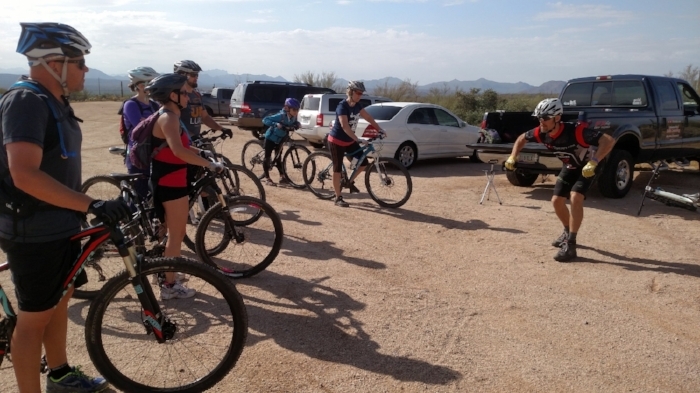 After receiving the BICP Level 2 certification, Scott launched pedalTherapy.com, the go-to mountain bike skills coaching provider for the local Phoenix area. Since 2013, he's coached riders aged 7 to 70, helping them learn to "Ride with Confidence", and racking up nearly 200 hours of coaching experience. 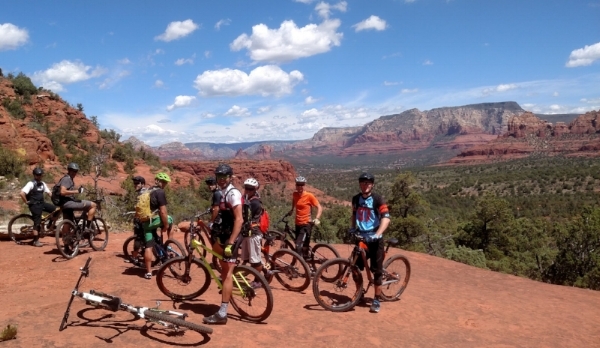 He's actively pursuing the top BICP Level 3 certification, which will qualify to him to instruct advanced mountain bike skills, and also the Level 1 Instructor Trainer, which will qualify him to teach others to be Level 1 Ride Guides. Scott has recently joined the coaching staff at the Ryan Leech Connection, offering instructional tips for riders around the world. Also, as an active member of DFMBA (the local trail advocacy organization), he's helped to organize kid-specific fun races alongside "adult" races. Lastly, he also was a co-founder, board member and Lead Ride Programmer for Pedal With Warriors, a non-profit organization dedicated to getting our veterans out on mountain bikes. Additionally, for over 10 years, Scott has provided coaching, ride leading and logistical support for Magura's annual press camps in Sedona (he's also known to make some delicious sourdough pancakes). The unique formula under which these camps are run have brought magazine editors back over and over again, making it a coveted favorite amongst a sea of industry product promotional camps. It's this formula that Scott has tweaked to provide the backbone of the Bike Paradise vacations. The community feel of the house, the privacy of the rooms, the delicious post-ride food, the quality of the rides and the camaraderie and memories established on each trip will have you coming back to Bike Paradise over and over again.